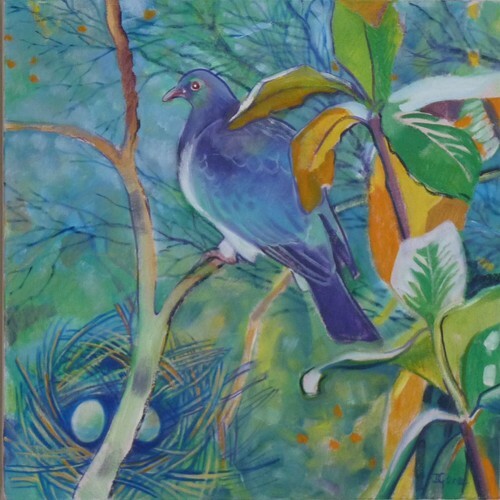 The paintings are mostly based on nature but all portray the essential spirit of the subject. I usually begin with inspiration from nature and find that the spirit of the subject emerges as I progress. Never knowing at the start where this will take me, I seldom plan a painting, just concentrate on the subject and watch as the spirit emerges. As I have developed personally I have seen more and more how we are all related anyway, all created from the same energy whether people, plants or stones. So that is what I paint, the same energy in many shapes and colours.